Singapore, 3 December 2015 – Following two consecutive nights of awards from 2 to 3 December, the 20th Asian Television Awards concluded on a high note at the state-of-the-art auditorium at Suntec City, Singapore. The region’s most prestigious industry award enchanted the audience with live performances by heavyweight celebrities and honoured outstanding achievements across 40 categories. This year also saw tight competition with more than 1,400 entries vying for the top prize, from markets spanning across Asia and as far as Qatar in the Middle East. Zhang Jia-Yi, China, took home the award for Best Actor in a Leading Role category for his strong performance in Forty-nine Days Memory, while China’s Zhou Xun was presented the Best Actress in a Leading Role award for her portrayal of Jiu Er in Red Sorghum. 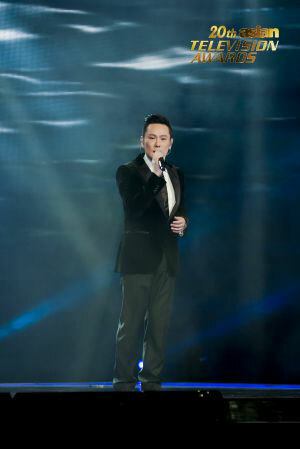 Amidst a strong nomination list, The Incomplete, Korea, won Best Drama Series while I Am A Singer, Season Three, China, was awarded Best Music Programme. Please go to http://www.asiantvawards.com/2015-winners/ for a complete list of winners. In addition, on Dec 2, Liu Changle, Chairman and CEO of Phoenix Satellite Television, was also presented with the Award for Outstanding Contribution to Asian Television, in recognition of his illustrious career in the broadcast and television industry. Wrapping up the night, The Discovery Channel took home the Cable & Satellite Channel of the Year award, while Channel NewsAsia was announced the Terrestrial Channel of the Year. Discovery Networks Asia Pacific and MediaCorp won the Cable & Satellite Network of the Year and Terrestrial Broadcaster of the Year award respectively. For the first time in the Awards’ 20-year history, the star-studded event was open to members of the public, with the 3,000-strong crowd joining industry luminaries and celebrities on 3 December. Hosted by Allan Wu, Max Loong, Joey Mead King and Stephanie Carrington, audiences were treated to dynamic world-class performances by international superstars like Korean girl group Secret, Indonesian powerhouse Anggun and Swedish boy band JTR. Secret wowed the crowd with their upbeat dance routines and songs like I’m in Love, global superstar Anggun showcased her vocal abilities with her Saviour, while Taiwan’s Jeff Chang wooed the crowd with his signature love ballads. 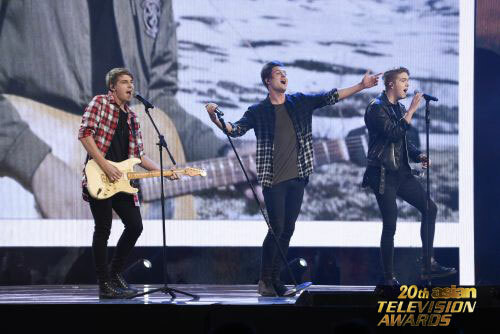 JTR, a trio of brothers who recently appeared on The X Factor Australia, performed Centre of Everywhere. With the live telecasts on channels including Astro Ria, Astro Ria HD, Bugaboo.tv, LeTV, Media Channel, Toggle and Tonton, more than 300 million viewers were able to share the experience in real-time from across the region.